I'm re-posting here a review I posted in Goodreads. Looking back, I realize that a lot of the frustration I felt with the book stemmed back to an experience I had teaching my "What is an American?" unit in my standard English 11 class last fall. Read to the end to see the connection. I'd love your thoughts in the comments. It's hard being a conservative economist in the 21st century. Think about it. You missed the heady days of the 60s through the 80s when Milton Friedman bestrode the economic world as a colossus. When everything was Theory and nothing was (yet) Consequence. Free markets. Deregulation. Supply-side fraud economics. Instead of proposing world-altering models, you're left defending an economy that has made little progress for almost four decades, where there is little mobility, and where the rewards keep finding their way to fewer and fewer people (who are less and less likely to be Americans). 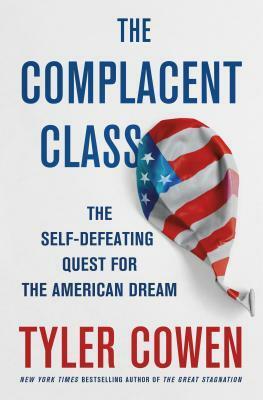 As I read The Complacent Class, I couldn't help imagining Tyler Cowen looking out at Donald J. Trump's America, putting his fingers to his cheeks and saying in his most innocent voice, "Gee whiz, will you look at that? I wonder how that could be." Cowen has made stagnation his bailiwick, and he has written broadly on the subject. (This is the first of his books I've read, and my only prior knowledge came from Ezra Klein's podcast.) But what bothered me about this book was the fact that while I recognized the country he was describing, I didn't recognize the solutions he proposed--in fact, I couldn't find any. Consider Cowen's thesis--summarized in the title--that the American Dream is not under assault by government policies, corporate or non-governmental interests, or elites. No, it's actually the "complacent class" that's to blame: i.e. the folks who want to live comfortably Indiana, Ohio and Wisconsin without moving, the mom who wants to work the evening shift three nights a week at Kroger and still provide health insurance for her kids, the 50-year-old worker looking forward to retirement who expects social security and Medicare to catch him in the near future. This is "complacency," not the kind of dynamism that America needs. The only solution, not mentioned by Cowen wisely, is to make America "great again" by making it "hard again." Hungry people move with the kind of dynamism he proposes. 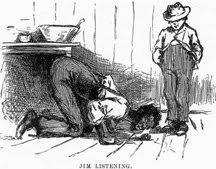 They take lower-paying jobs, or positions below their level of education or prior responsibility. They exchanges homes and communities for apartments (and homeless shelters in some cases). But what about sick people? Where do they go? What about addicts, or those burdened by criminal records? There are some fascinating insights in Cowen's book, and I don't mean to criticize it with too broad a brush. My frustration with Cowen's failure to apply responsibility to political and intellectual policies and his refusal to point a way forward notwithstanding. Cowen points out that, while economic growth has been between 1-3% since 1980, among immigrant classes it has matched or surpassed countries like China was really fascinating. As a teacher, I also take to heart his ideas about mobility, pushing my students to look beyond the borders of our school zone (in order to bring back ideas and investment that will make it more prosperous). His book gave me many ideas that I enjoyed exploring and look forward to augmenting through further reading. Last fall I asked my 11th-grade students, "What is an American?" I teach in deep-red "Trumpistan" Tennessee. Still, their answer saddened me. "Someone who has a legal birth certificate or immigration papers," they answered. To me, THIS is American complacency. The dynamism that brought my ancestors here from Norway, Germany and Spain, stemmed from a much broader, more concrete definition of the term, "American," than the ones my students embraced last fall. Like Cowen, I feel this complacency, and I hope to develop students who will contribute to the nation that (I think, I hope) he envisions. I'll keep my eyes open to more of Cowen's writings to see if this happens in the future. It just wasn't evident here.